HEARTS AND FLOWERS - A new tutorial YAY!!! Frit-Happens ! > Tutorials in here.. > Books and etutorials > HEARTS AND FLOWERS - A new tutorial YAY!!! 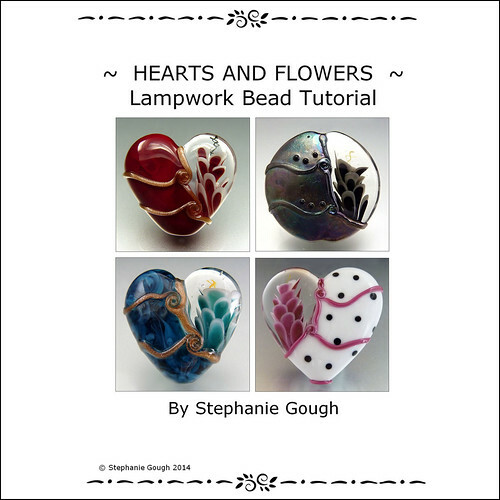 Had so many requests over the years for a tutorial on my heart beads, I thought it was time to do it! So here it is, available in my Etsy store! I hope you will like it and have fun with it! Also, am not sure whether it will be available for digital download after 31st December - the new EU VAT rules are so confusing. So it may not be available to Europe after then!